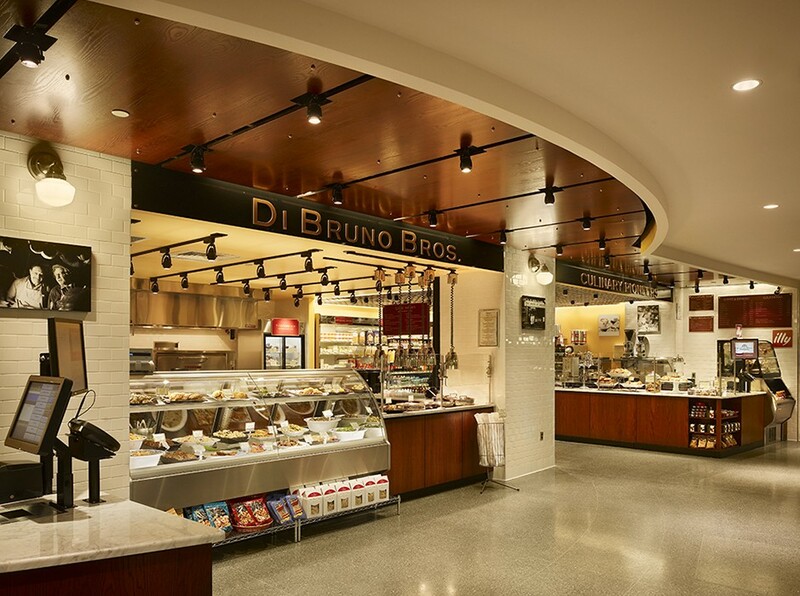 In a continuing relationship with Di Bruno Bothers, a purveyor and importer of gourmet foods since 1939, Studio Agoos Lovera was selected to design their second gourmet food store prominently located in the upscale market at the Comcast Center. 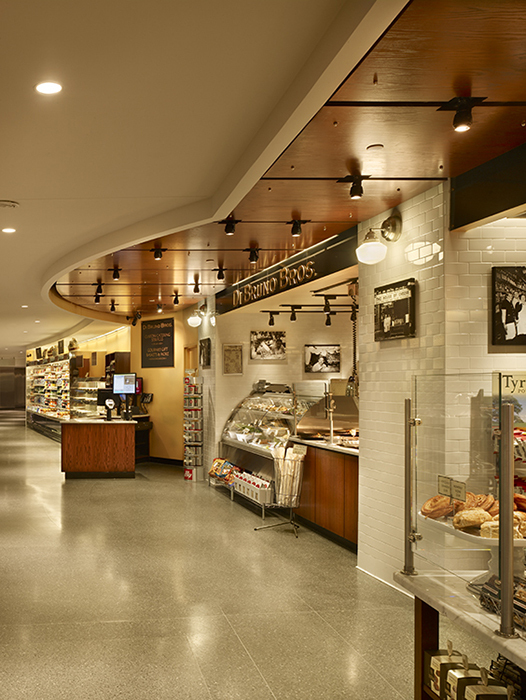 As the market’s anchoring tenant, this 1,683 square foot location represents a streamlined “to-go” version of their flagship store at 1730 Chestnut Street and serves the patrons of the Comcast Center, Suburban Station and the surrounding area. The design consists of four functional components: a prepackaged retail area accessible to customers, a coffee bar, and a private store and work room.